Cooking is a basic life skill that every adult should have at least a modicum of knowledge of how to do. 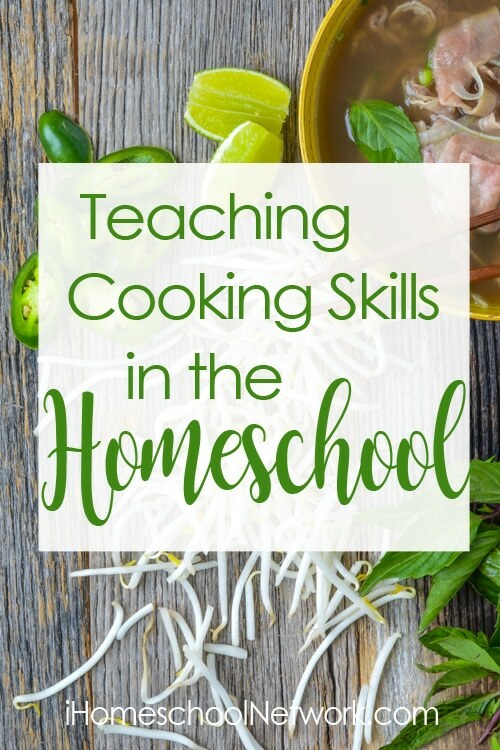 Having the advantage of having our children home with us makes it easier to incorporate cooking skills into homeschool routines. Whether it’s starting with the basics of boiling water or chopping veggies, the earlier we can get our kids involved in the cooking process the better they’ll be able to build their cooking skills. Even though we live in a modern age where microwaves and pre-cooked meals are easily accessible, it’s important to teach specific skills, knife skills, shopping and meal planning skills, as well as food safety, are just some of the cooking skills needed for healthy living. This week we’re sharing these 21 posts to help you hone in on cooking skills to teach your kids in homeschool. What tips do you have for teaching cooking skills in homeschool?